This year, two amazing things happened in the Search Marketing industry, which opened the doors to knowledge webmasters and website owners have had to pay thousands of dollars to SEO Experts for. These two studies, created by icons in Search, can be called the Fundamentals of Local and Organic Search for 2009 and should be shared by anyone seeking to get higher ranking in the immediate version of the search engine results. The first study was by Local Search Expert David Mihm, appropriately entitled Local Search Ranking Factors. 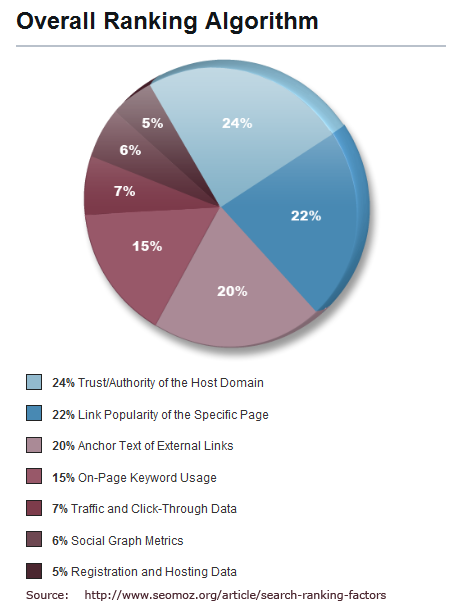 26 Search Engine Optimization Experts participated in this study. Now you have what all the industry experts believe to be the top SEO ranking factors. What are you going to do about it? You can hire myself or my team at Local Splash, a local SEO services company, we’d be happy to help. Or you can study and implement all of these fundamental SEO best practices yourself. Or better yet, both. Either way, there is no doubt in my mind that the number one SEO ranking factor is taking action. That being said, how will you spend the rest of your week?